Thailand has announced it will be investing $20billion into infrastructure projects this year. The announcement includes seven projects which will all cost over $1bn and the rest will consist of smaller but still reasonably large-scale projects. 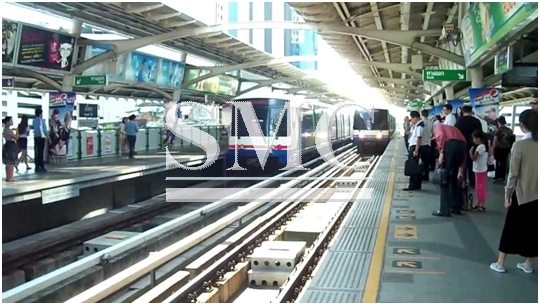 There of the seven named projects will involve work on the Bangkok metro system, which is in considerable need of expansion. The metro in the capital currently has just 2 lines feeding a population of 6.355 million people, which is a considerable shortfall when compared with some of the world’s elite capitals. There are two schemes to build the orange line, which will run east to west through the northern half of the city. A $3.1bn section will connect the Thailand Cultural Centre and Min Buri in the eastern outskirts, and a $2.4bn project will link the cultural centre with the Talin Chan floating market in the northwestern suburbs. The existing purple line will be the beneficiary of a $3.7bn investment to extend the line from Kanchanaphisek Outer Ring Road to Tao Pun station. Above ground there will be a $4.3bn PPP to build a high-speed rail line from Bangkok southeast to the coastal town of Rayong, and a $3.2bn southeastern link between the capital and the resort of Hua Hin. The largest investment into a road project will be a $2.3bn project stretching from Nakhon Pathom, which is situated 50km west of Bangkok, to the popular resort of Cha-am 100km to the south. There is also a project to enhance the private sector’s role in the Suvarnabhumi airport rail link, which is worth $1.2bn.